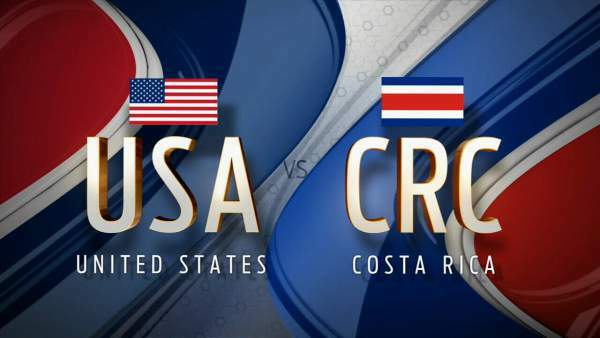 USA vs Costa Rica Live Streaming: It’s FIFA World Cup 2018 qualifiers today and USMNT will play CRC at Red Bull Arena with kickoff time being 6:30 pm ET. ESPN, Univision, Univision Deportes will provide the live broadcast while Costa Rica vs USA live stream will be available on WATCH ESPN, fuboTV (free trial), Univision Deportes, Sling TV. We are just 286 days away from the world’s most anticipated sports event. The United Station national football team still needs to do a handful work to book itself for the WC 2018 Russia. As of now, it stands at #3 in the group table. If they successfully defeat #2 placed Costa, it will automatic secure their qualification. In their last encounter, Costa defeated the USA by 4-0 in San Jose in November 2016. That match cost former manager Jurgen Klinsmann his job. Since then, Bruce Arena has been employed as the manager for the second time. And since then, the USMNT has gone on a 14-match unbeaten run and won the Gold Cup for the sixth time. During Gold Cup, the USA defeated CostaRica in the semifinals. Both the teams will play to register a win with their best playing lineups. Apart from Mexico, this is going to be the toughest match that the American side will face in the qualification stage. A similar situation came up during the last Copa America Centenario. But, USA came out victorious by 4-0. Watch: Mexico vs Panama live stream. Let’s see if they would be able to replicate that success in today’s match and secure the road to Russia. USA XI – Howard; Villafana, Besler, Cameron, Zusi; Bradley, Johnson, Nagbe, Pulisic; Altidore, Wood. Stay tuned to TheReporterTimes for more football news.